Rubia tinctorum, also called madder, is a tinctorial plant belonging to the Rubiaceae family. Madder roots contain dyes with an anthraquinonic (anthracene-9, 10-dione) skeleton corresponding to heterosidic and aglycone molecules. These coloured compounds are secondary metabolites and it is possible to increase their proportion in the plant by abiotic stresses applications (use of UV, spray of eliciting molecules such as methyl jasmonate). 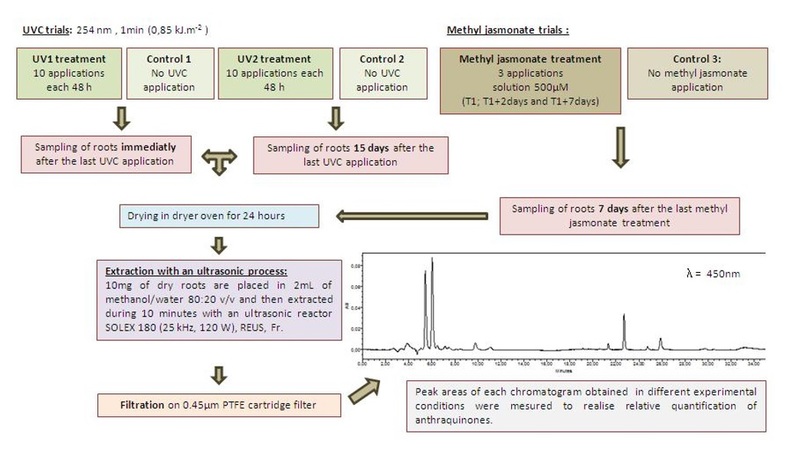 An extraction method of Rubia tinctorum roots dyes using ultrasounds is further established and optimized to obtain the original chemical composition preserving the dyes population by using soft parameters values. Liquid chromatographic analyses are performed in order to characterize madder dyes from the plant and from ancient colourful Berber carpets belonging to the collection of Batha Museum in Fes, Morocco. Rubia tinctorum, also called madder, is a tinctorial plant belonging to the Rubiaceae family. Madder is employed since the ancient times: painters used madder lacquer as a medium for their paintings [1, 2]. Moreover, this natural substance was used for dyeing textiles in many parts of the world [3-6]. Madder roots contain dyes with an anthraquinonic (anthracene-9, 10-dione) skeleton corresponding to heterosidic and aglycone molecules. The heterosidic dyes are composed by molecules with an anthraquinonic part (aglycone) and a primeverose one (6-O-β-D-xylopyranosyl-β-D-glucose). The main heterosidic dyes are lucidin primeveroside, ruberythric acid (alizarin primeveroside), galiosin (pseudopurpurin primeveroside) and rubiadin primeveroside. The aglycone compounds are alizarin, purpurin, pseudopurpurin, lucidin, xanthopurpurin and rubiadin. These coloured compounds are secondary metabolites and it is possible to increase their proportion in the plant by abiotic stresses applications. Indeed, some of these compounds have anti-microbial properties and can be considered as phytoalexins [7-9]. They can be produced in response to pathogen attacks or to different elicitors like fungal polysaccharides or endogenous signal molecules (salicylic acid and jasmonic acid) [10, 11]. The biosynthesis of anthraquinonic structures involves several metabolic pathways like shikimic acid pathway, mevalonate (MVA) pathway and methylerythritol-4-phosphate (MEP) pathway. H. Ying Shan et al. have shown that the formation of 1,4 dihydroxy-2-naphthoic acid depends of shikimic acid pathway and that the 3,3-dimethyllallyl diphosphate (DMAPP) required to form the first precursor compounds is mainly produced by the MEP pathway . Hence, the biosynthesis of these compounds is originated by some biosynthetic pathways which can be stimulated by biotic or abiotic stress. In a first step, several types of stress were tested by using the ultraviolet portion of the electromagnetic spectrum and especially short-wave UV-C radiations (200-280 nm) and by spraying eliciting molecules (methyl jasmonate) to increase the production of dying compounds in madder roots. UV-C radiations are known to affect some morphological, physiological or biochemical aspects on plants. UV-C may stimulate any enzymes of the shikimate pathway driving to an accumulation of chorismate and stimulate the flavonoids biosynthetic pathway [14, 15]. Methyl jasmonate was already used to promote the production of anthraquinonic molecules in cell suspension cultures with success [10, 13, 16]. Thus, these two stressors may probably have an important role in the production of dyes in Rubia tinctorum. This study aims in the first part to optimize the production of anthraquinonic compounds by obtaining a best yield in dyes; In a second step, the characterization of madder dyes was applied to the analysis of museum objects. Analysis of coloured samples of textile fibres presents a real scientific challenge often by the fact of having samples in small quantities, but also the need to chemically extract the colouring substances which are firmly fixed on the textile fibres. Because of their insolubility, the objective is to decomplex dyes using efficient and non-denaturing processes to identify their nature or even to specify their botanical and/or geographical origin. Several processes have been already developed by using different solvents or mixtures of solvents [17-21]. The use of a strong concentrated acid, such as HCl in an extraction method of colorants from textile or lake, can break down glycosidic dye components into their aglycons precursors, with a possible consequently loose of information concerning the dye source. This is particularly true for flavonoidic dyes, many of them being glycosides ; this phenomenon can be also observed concerning aglycon compounds [17, 22] and/or secondary chemical reactions . Some decomplexation methods have been already developed and improved in the step of extracting dyes from a lake or from a textile, while preserving glycosidic linkage [24, 26]. For this study a technique using an acetic acid buffer (CH3CO2H/CH3CO2-) associated with ultrasound is employed. In this present work, two Moroccan carpets from the Batha Museum of Fes in Morocco are studied. More precisely, analyses of red and orange samples are presented and discussed. The comparison of the resulting dye constituents obtained through non-denaturing technique of decomplexation allows to establish relationships between the Rubia tinctorum dyes used and the chemical composition recovered. Liquid chromatographic analyses are performed in order to characterize madder dyes from the plant to the museum objects. The wool fibres about 0.5 cm in length were sampled from two ancient Ait Ayoub and Zayan carpets from the 18th-19th centuries belonging to the collection of Batha Museum in Fes, Morocco (Table I). Solvents and reagents were all of analytical grade from Merck (Darmstadt, Germany). Alizarin and purpurin were purchased from Acros Organics (Geel, Belgium). Lucidin primeveroside, rubiadin primeveroside and rubiadin have been kindly furnished by Pr. V. Golicov (Russian Research Institute for Cultural and Natural Heritage, Moscow, Russia). Lucidin primeveroside was hydrolysed (HCl) to obtain lucidin which structure was characterized on the basis of chemical and spectral evidence including two-dimensional NMR experiments (COSY and NOESY 1H-1H, HMQC and HMBC) and electron ionization high-resolution mass spectrometric technique (EI, HR-MS). Rubia tinctorum roots were purchased from Okhra (Roussillon, France). Two types of stress were performed: exposition to UV-C and spray of methyl jasmonate (an eliciting molecule) (Fig. 1). 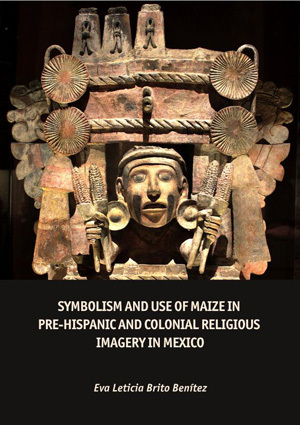 All plants received the same crop condition of culture. The plants were cultivated in pots. 0.5 mg of fibre was extracted with an acetic acid buffer solution . The sample was placed in a hemolysis tube and an acetic acid buffer solution (3 mL) (CH3CO2H/CH3CO2-, pH = 4.3) was added. Then ultrasound was applied during 10 minutes using a PEX 3 (R.E.U.S., Contes, France) sonifier (25 kHz, 150 W), composed by an inox jug with a maximum capacity of 3 L. After centrifugation at 12.000 rpm during 5 minutes, the supernatant liquid was analysed by HPLC. LC-PDA analysis was carried out in a Waters (Milford, MA, USA) liquid chromatography apparatus consisting of a high-pressure ternary pump Waters 600, a vacuum degasser, a high-pressure manual injector valve (20 µL injection loop) and a photodiode array detection (PDA) system Waters 2996. It was equipped with a Symmetry Shield RP18 column (Waters, 5 µm, 4.6 x 250 mm) and controlled by Empower 2 software. The flow rate was set at 0.7 mL min-1. Detection was made within a 200-800 nm wavelength range, with a spectral resolution of 1.2 nm. The HPLC separation was performed at 35°C with a binary elution mixture composed of acetonitrile (A) and double distilled water (B) containing 0.01% trifluoroacetic acid (TFA). Chromatography was carried out during 30 min with a continuous flow-rate of 0.7 mL.min-1. The gradient program was as following: 0-5 min, 30% A and 70% B; 5-10 min, 30-70% A and 70-30% B; 10-20 min, 70% A and 30% B; 20-25 min, 70-100% A and 30-0% B; 25-30 min, 100% A. Chromatograms were integrated systematically at 450 nm, optimal wavelength to obtain a correct response for all the madder constituents. 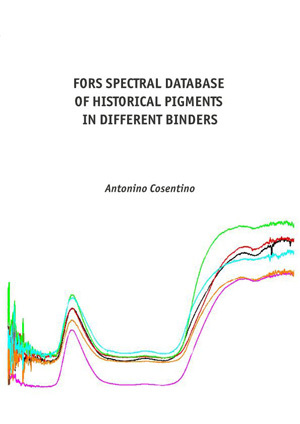 Results are presented as the relative composition of dyes at the wavelength of integration. Each sample was injected in triplicate. Figure 1. UV-C and methyl jasmonate treatment methodologies. The identification of anthraquinonic compounds was realized using the comparison of UV spectra and retention times with standards in the same conditions of analyze. Each peak in the chromatogram was attributed to an anthraquinonic compound and quantify by measurements of the peak area of anthraquinones at 450 nm. Figure 2 shows the effects of UV-C applications on the production of anthraquinonic compounds. The results represent the relative quantification of each compound fifteen days after UV-C treatments through the measurement of peak areas in the obtained UV/Visible chromatograms. An increase of ruberythric acid and lucidin primeverose, two precursors of alizarin and lucidin, is observed. At the opposite, the proportion of galiosin (the precursor of rubiadin) decreased. Purpurin concentration is not impacted by UV-C radiations. Usually UV-C radiations have an impact on the anthraquinone concentrations in roots; 15 days after the last UV-C treatment (8.5 kJ.m-2 at 254 nm), heterosidic compounds proportions are improved. Measurements realized 15 days after treatments confirm the trends immediately observed after stresses. Madder plants apparently need some time to react under UV-C radiations before increasing the synthesis of anthraquinones. This positive effect is observed with aglycones compounds as lucidin and alizarin, important chemical markers in madder roots. No difference is observed just after the end of treatments (data not shown) suggesting that madder plants need time to react although it has been shown that the perception of radiation can be fast . Figure 2: Effect of UV-C on madder dyes (area of LC-PDA chromatogram peak measured at 450 nm). Figure 3: Effect of methyl jasmonate on madder dyes (area of LC-PDA chromatogram peak measured at 450 nm). 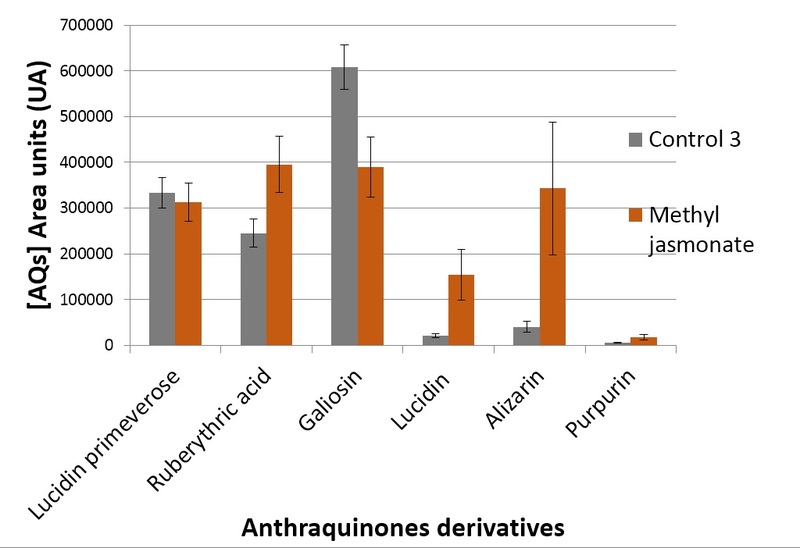 Concerning the methyl jasmonate applications, they have improved the concentration of ruberythric compound but they have induced a reduced galiosin proportion (Fig. 3). Lucidin primeverose concentration was not changed by application of this elicitor. For aglycone compounds, treatments of methyl jasmonate have increased the concentration of lucidin, alizarin and purpurin. Same results were observed in cell suspension cultures of Rubia cordifolia for purpurin increasing . Alizarin improvement was also observed by elicitation of methyl jasmonate in cell suspension cultures of madder . Biotic and abiotic stress could affect the biosynthesis of anthraquinonic compounds. Significant positive effects showed that a gain of alizarin content may be possible by applications of elicitors. It is important to determine the optimal elicitation to maximise the production of dyes. The established analytical protocol was applied for identification of dyes and biological sources in red-orange fibres from two Moroccan carpets (Batha Museum, Fes) . The obtained chromatograms in liquid phase at 450 nm are reported in Fig. 4 and 5. All of the coloured compounds were identified from the UV chromatograms and also confirmed through the UV-Vis spectra. Only one extraction procedure could be used for the remaining two historical yarns because of limited sample quantities, as usually for dye analysis of ancient textiles. The chosen method to extract these samples was an acetic acid buffer, because it was important to establish the complete dye textiles contents without any chemical degradation due to the use of strong acids with a potential heating procedure. Heterosidic compounds are sensible and so it is possible to make the rupture of the osidic link if drastic extraction process is employed. For this reason, a simple decomplexation method is used to dyestuff study corresponding to a competition between the dyes and the acetate groups with the specific metallic ligand (Al3+) present in lakes elaborated with alum . The results are summarized in Table II. 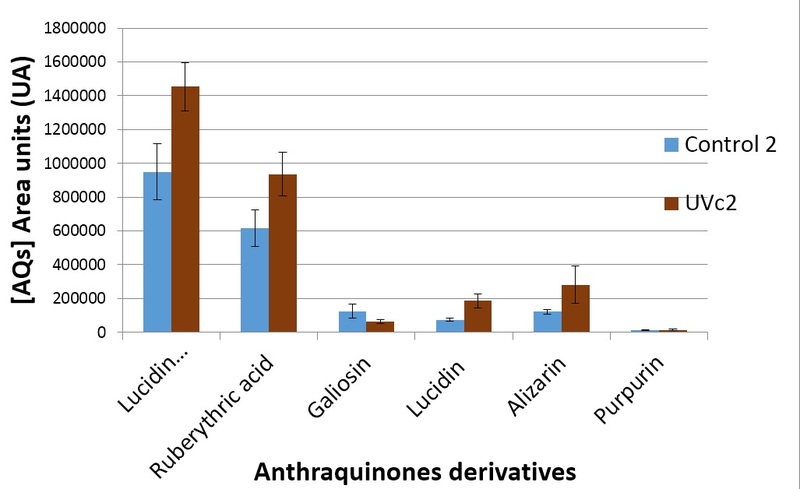 Anthraquinone dyes were present in both cases but the nature of the dye populations was different. Indeed, in historical carpet no 101-0686 (red) only the occurrence of aglycone compounds was observed. In eluting order, lucidin, alizarin, purpurin and rubiadin were detected (Fig. 4). Alizarin and purpurin are the main anthraquinonic constituents in madder (Rubia tinctorum L.). In the second sample, the presence of heterosidic and aglycone antraquinones was observed indicating the use of madder (Fig. 5). Figure 4: LC-PDA chromatogram of historical fiber no 101-0686 (red). Figure 5: LC-PDA chromatogram of historical fiber no 101-0693 (orange). By comparing the occurrence of aglycone and/or heterosidic compounds, it is possible to make a correlation between the chemical composition and the observed colour. Several hypothesis can be applied to interpret these experimental results. It is known that there is an evolution of the chemical components of madder plants during its maturation. More the plant is young, more the herosidic compounds population is important. Conversely, the quantity of aglycones increases with the plant age and it can be considered that the plant is mature in 3 years, meaning that at this age the aglycones are mainly important comparatively to their heterosidic precursors. Moreover, the chromophoric groups of heterosides and aglycones are different. Consequently, the presence of primeverosides induces a bathochromic effect in the visible wavelengths explaining that heterosides are more yellow-orange and aglycones more orange-red. So to explain the fibers difference of colour between the both samples, reference no 101-0686 is red and only contains aglycones while the sample with reference no 101-0696 is orange and contains heterosidic and aglycon anthraquinones. It could be also possible that the difference of chemical composition is due to the difference stage of maturity of the madder plant. Indeed, old madder roots contained a high proportion of aglycons. Another explanation could be given to explain the difference on the chemical composition of dyes madder used observed in these Moroccan carpets. The chromatogram of sample no 101-0686 (Fig. 5) shows the only presence of aglycone dyes: lucidin, alizarin, purpurin and rubiadin. It could be designate the use of garancine, a French word employed to design a concentrated refined powder of madder roots which had been produced by a chemical process. It was the hydrolysis of the precursor compounds (heterosides) in the aim to concentrate the red colouring by increasing the proportion of aglycone compounds having higher absorption maxima in visible wavelengths. The chemical action was more or less pushed in order to give different colours. This chemical modification of Rubia tinctorum composition is translated by an hydrolyse of heterosidic dyes giving a largest aglycone anthraquinones proportion by breaking the osidic chemical bond of glycosides in the root, thus by concentrating the red colouration of the extract and by increasing the efficiency of dyeing. Anthraquinone concentrations in madder roots can be increased by UV-C treatment without any negative side effect on plant growth. Methyl jasmonate has also some effect on dye concentrations in roots. This study shows that it is possible to improve dye concentrations and so to increase the efficiency of dye production in madder crop. However, the results show clearly that we need to improve our understanding of the UV-C radiations way and of the methyl jasmonate influence on the biosynthetic pathway of anthraquinones. It appears also necessary to optimize the extraction protocols by using such innovative extraction techniques as ultrasound, microwaves and natural solvent compositions. In conclusion, the contribution of conservation sciences to the characterization of the constitutive materials proves very precious through geographically and historically well-defined museum objects. 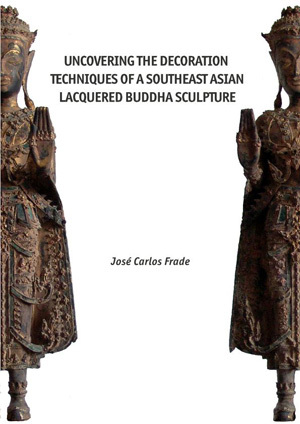 The results and information are useful for restoration and conservation purposes. 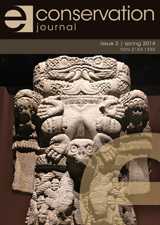 In this view, the development of extraction methods and chromatographic techniques have turned conservation sciences into a keystone for Cultural Heritage.